After a longer hiatus, we are back! Sorry for this delay, but we can promise you that from now on you can expect from us regular updates from the region of Southern and Eastern Europe Middle East and Africa (SEEMEA) with the focus on interviews with people who lead companies which have been established or have connection with this fantastic and emerging region. 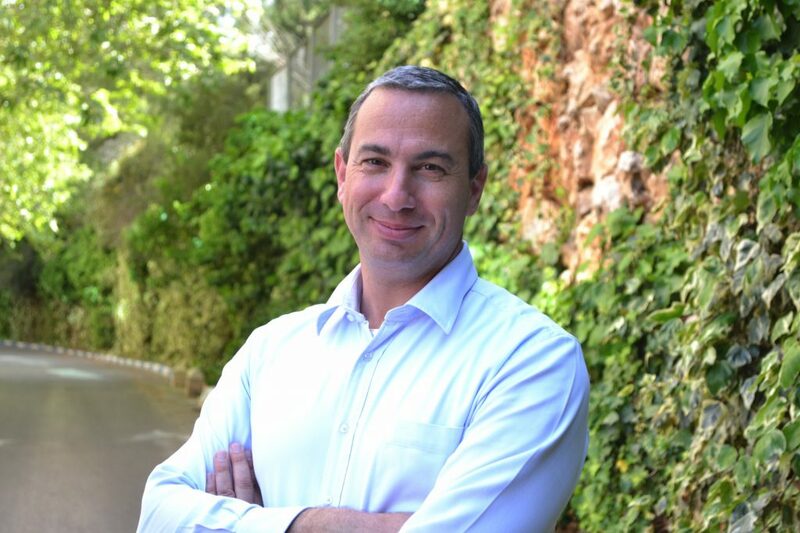 We have that pleasure that the first, in the series of interviews, is with Dr. Zvi Schreiber, CEO of Freightos. Freightos is creating an international online freight marketplace and freight automation technology making global shipping easier. 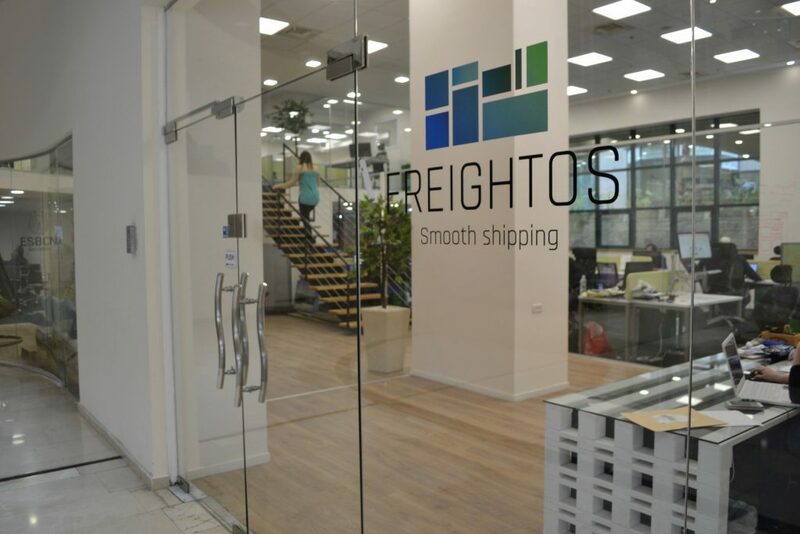 With the headquarter in Jerusalem, they offer one of the leading global SaaS called Freightos AcceleRate for logistics companies. So far they have raised 55.9m USD. 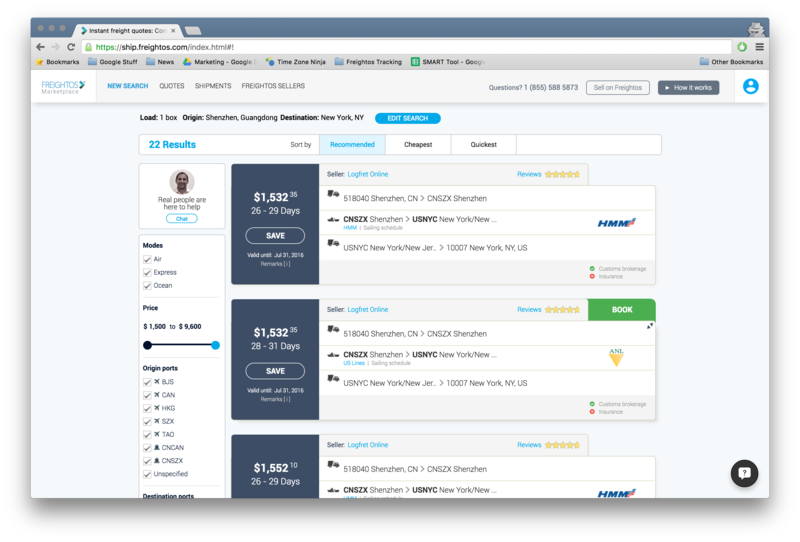 After several companies and exits you have decided to launch an online freight marketplace. What was the reason which influenced your decision to launch Freightos? The core driver was my own personal pain with the import/export process. It was through some trial and error (but mostly error) in importing goods from China to the US and EU in a previous company that I understood just how sorely the freight industry needed an upgrade – it used to take us upwards of 72 hours just to get a single freight quote. Global trade, worth $19 trillion and absolutely integral to nearly everything we consume, has remained virtually untouched by technology. I decided to change this by founding Freightos. Freightos helps freight forwarders, carriers, importers and exporters. Do freight forwarders (or anyone else) have ever perceived you as enemies or competitors for their old-school way of doing business, frenemies similar like OTA-hotels or taxi companies-ride-hailing apps relations, or you haven’t experienced such obstacles and they all perceive you as partner that will help grow their businesses? Change is always difficult and there will always be companies that are averse to evolution. However most forwarders now understand that the industry is changing and recognize Freightos as a lifeboat. 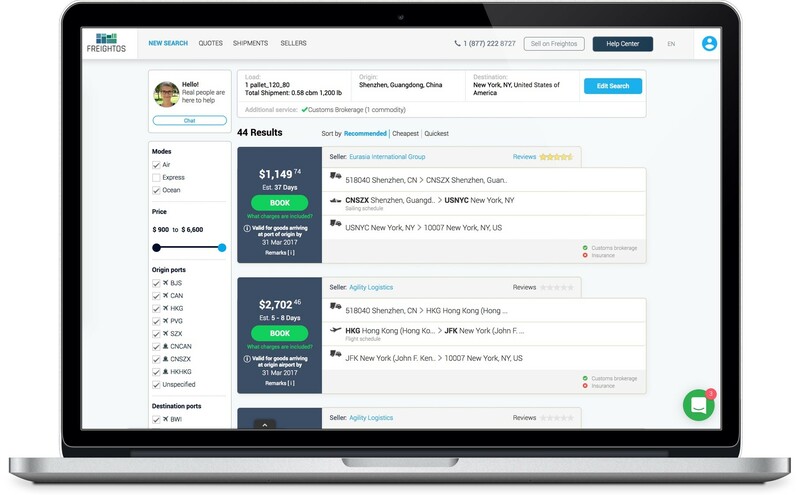 A new generation of tech-enabled forwarders are emerging and targeting current forwarder markets; Freightos provides leading forwarders with the digital tools they need to better service their customers, as well as access to on-demand global freight index data. As a result, over one thousand forwarders work with us to automate freight sales. On the Freightos marketplace, we actually serve as another means to drive sales for freight forwarders. As an example, one of our smaller forwarders recently hit the one million dollars mark in online sales, a sizeable achievement for a small business. What is the value proposition of Freightos you are most proud of? We are tremendously proud our efforts to move global trade online, and particularly with last year’s launch of the online freight marketplace. Global trade has been the driving force of the economy from the time of ancient civilizations through today and many see it as a major contributor to world peace; it’s now time for it to join the Netflix and Amazon generation. The transparency and accessibility provided to small and midsize importers is a huge value and one that we’re incredibly proud of. You offer rates for all type of shipments, so for land, ocean and air. Which area has the biggest demand on your platform and which one has the biggest growth? International importing and exporting, especially among smaller and midsize businesses is on the rise. Air and ocean certainly drive the majority of our bookings with more shipments by ocean but more spend on air. Trucking, especially in the US, has had a head-start on automation, so our real differentiation is on the international air and ocean side. You connect forwarders and carriers on one side and importers and exporters on the other side. Do you feel that Freightos is at the moment more popular by the representatives of one side and that you need to improve the interest of other side or you are satisfied with the activities of the all key stakeholders? What has been more challenging for you – to increase the demand or supply? The trick about marketplaces is balancing both supply and demand. 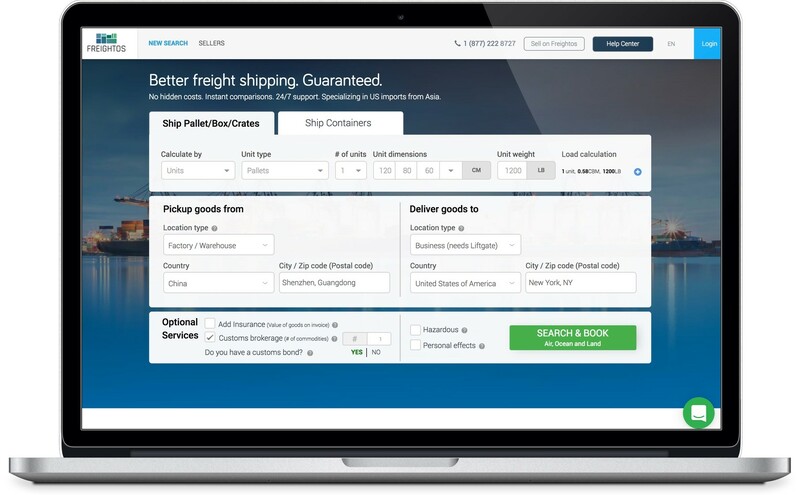 Since we’ve spent five years creating technology that helps freight forwarders stay relevant in a changing world, we already have a strong supply side and now at the stage of aggressively ramping up demand. Of course, more demand translates into even more forwarders interested in selling on our marketplace so the balancing act never really ends. That said, our core focus today is scaling up increasingly larger marketplace buyers. We are witnesses that on-demand platforms are usually very-well funded in order to achieve their global goals. Do you think that online freight marketplace is a winner-takes-all business, or that there will be place for several platforms like yours, or you believe that in the years that come many of the current providers will also remain in the business? International freight is one of largest markets in the world so there is room for a handful of winners. In the air travel world, there are dozens of major OTAs and online booking sites that are successful have valued in the billions. That said, international freight is much more complex with bigger barriers to competitors. The Freightos Marketplace is uniquely positioned, given our unprecedented supply side access, powerful technology, and market traction. You have extensive entrepreneurial experience on different markets. Can you please tell us the main differences in growing a company in Israel, Europe, Asia and elsewhere? Are there actually some geo-defined differences or everything comes down to good idea, good timing and good execution? Certainly there are reasons for growing a company in one region over the other, but in my experience I have found that it is far more important to focus on the mission of the company and the talent within the company than what country it is located in. Wherever the company is located you have to see the whole worlds as your market. I attribute much of my current success to date to assembling the right team that knows how to get things done. I’ve continued working with the some of the same people from my first company through today – we’re a good team and we don’t want to lose that chemistry! 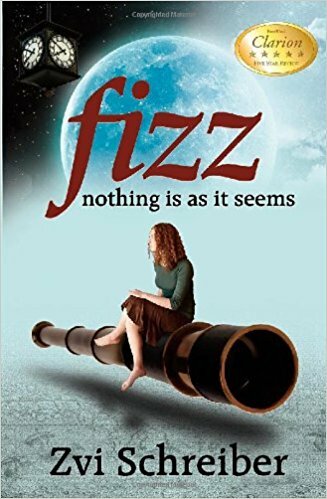 You are also the author of the book Fizz: Nothing Is as it Seems where you wrote about universe, time travel and how science and technology redefine the human experience. As we all know, technology and inventions can do as good and harm, depending on the usage. Do you believe that science and technology will help to shape the better world and to benefit the humankind? What do you think when the online freight marketplaces will have rates for space shipment, as well? And at the end – do you think that eventually time travel will be possible and if you do, whether it will be possible to travel only in the future, in the past or in both directions :)? Wow, interesting set of questions. I will say briefly that time travel into the future is definitely possible, time travel to the past remains science fiction. I guess you’ll have to read Fizz to learn more! There is no doubt that science and technology do help to shape a better world but there are also some big risks from the rapid development of artificial intelligence not to mention not so new risks from nuclear weapons which are back in the headlines. And yes I could see Freightos having rates for shipments to space – there is already a competitive market for delivering payloads to low earth orbit and room for a marketplace.